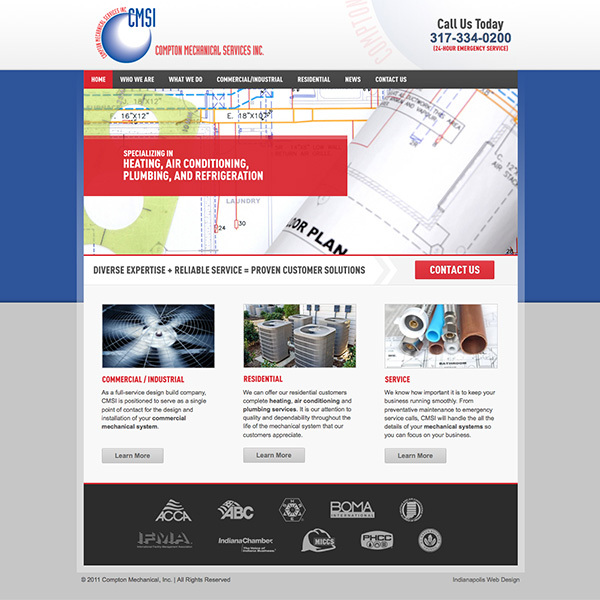 Compton Mechanical needed a strategic partner to not only create a new website but to also learn their business. Prior to their new website they had a business card as their home page. The business card design was their website for over 5 years. 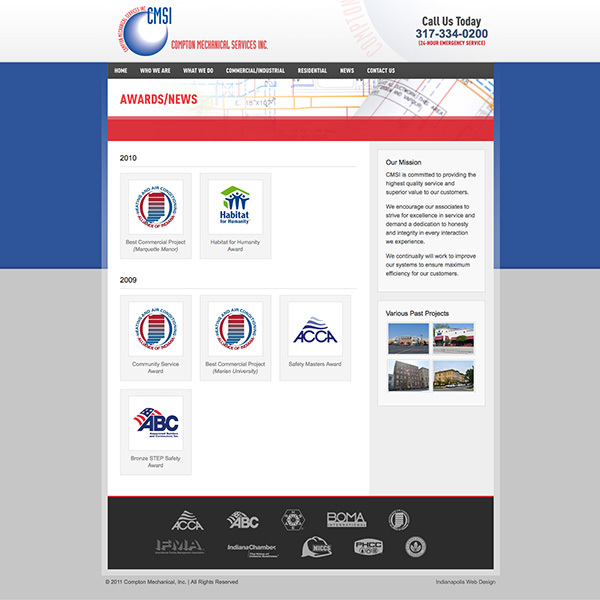 We worked together to create a site that captured the essence of their business. A site that shared the pride of the logo on every truck that drives around Indianapolis. We did that together!